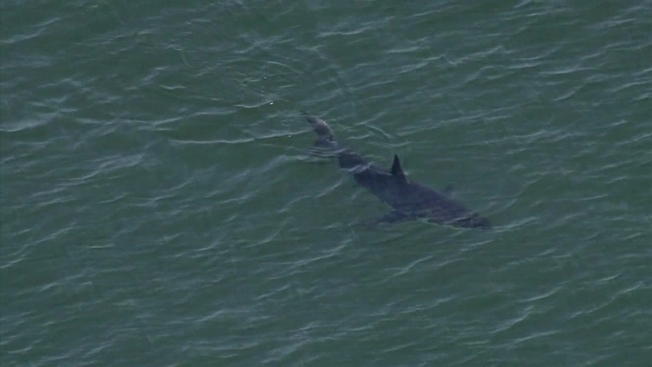 Swimmers, surfers and fishermen told NBC 7 there seems to be an increase in the amount of white sharks they have seen off the coast of San Diego recently. Local surfers said the sharks seem to be closer to their lines of surf as well at San Onofre Beach. "In the 1990's, California banned all near-shore nets and that dramatically reduced the mortality of juvenile white sharks," said Heidi Dewar, Ph.D., a fisheries research biologist for the National Oceanic and Atmospheric Administration. Dewar said we are just now beginning to see the results of that legislation. Shark populations are able to thrive now that they are not getting caught in nets and dying. Their prey, like seals and fish, are also increasing in numbers off the coast of California. “If the population is increasing like we think, you would expect to see more animals in that near shore habitat," added Dewar. She said that means sharks are hanging around California shores to feed. Dewar added although white sharks do not seek out humans to eat, they can confuse our wetsuits as seals, one of their main food sources. She recommends avoiding the ocean at dawn or dusk, because that is when sharks are most likely to be looking for a meal.